My grandparents established the kennel in 1954 which makes it one of the oldest effective kennels of pomeranians in the country. The foundation of quality dogs really have made a strong base for the bloodlines we still work with today 13 generations later! 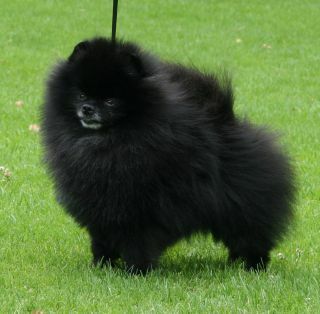 When I took over the kennel about 17 years ago I modernized and developed the dogs to what is known as the pomeranian of today. We have incorporated mainly brittish bloodlines through the irish imported Belliver dogs with strong links to the Toybox dogs. We have a small portion of American blood and lately a few imports from Japan bring us back to the legendary Hadleigh bloodlines that contributed so much to the modern pomeranian. Breeding quality pets, showdogs and breeding stock is interesting and very challenging. 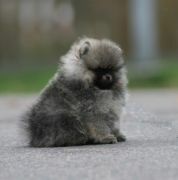 Pomeranians is probably the most difficult breed to breed. 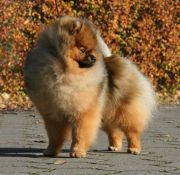 With our long history as well as having worked with pomeranian as well as other hard breeds such as Chow Chows, Pekingese and Poodles we feel we have the experience that is required to be a serious breeder. We believe in excellence not just in looks but also soundness in mind and body as well as health. Take your time and go through our website to look at all information and pictures of our dogs. BOB at the Swedish Winner Shows both 2008 and 2009! From limited showing Top Pom number 5 2009.